Retail Price: $15.09ON SALE for almost half off. All Metal Fan Spray Garden Hose Nozzle. Perfect for watering plants. 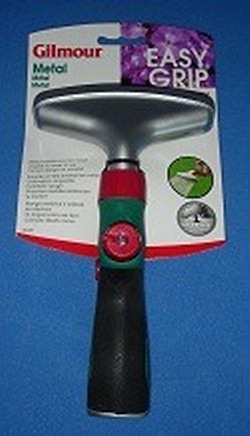 Front size squeeze handle and angled head make this one of the best and most comfortable to use garden hose sprayers. Front lever pistol grip. Ever drop the hose and get squirted in the face? That won't happen with this pistol grip garden hose end. Lever is on the front, so it won't squirt when you drop it. Perfect with Garden Hose Quick Disconnects.